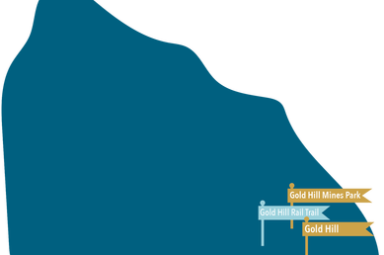 The NC Gold Trail is a heritage destination trail that spans six counties across the state whose purpose is to educate visitors about the NC Gold Rush and the significance it played in the history of the United States of America. In Rowan County, visitors can go to Gold Hill Mines & Historic Park and explore the Gold Hill Rail Trail. This hiking trail takes in sites including the Powder House, Gold Hill Pond, Gold Hill Jail and a primitive Chilean Ore Mill. 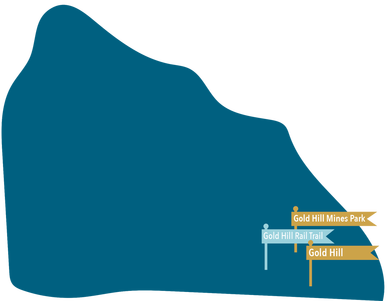 Gold Hill is proud to be a vital partner in the development of the NC Gold Trail.